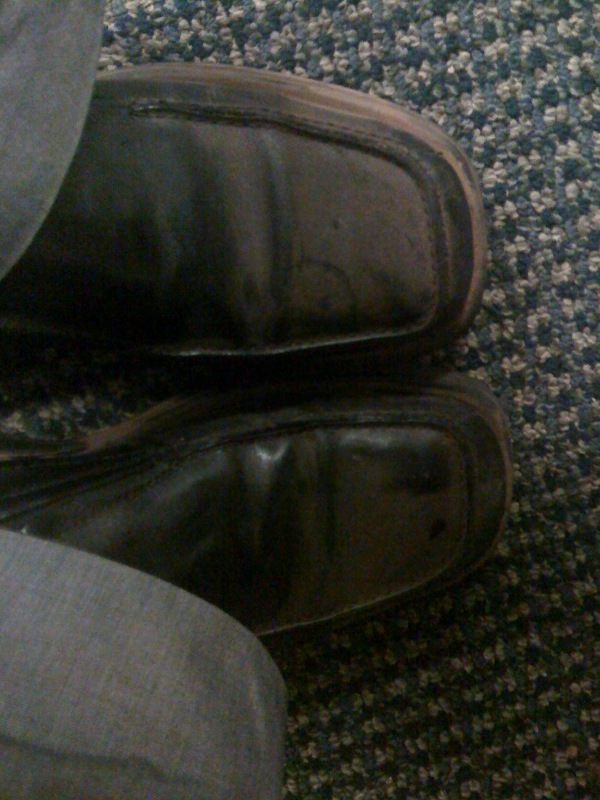 Also, here were some BlackBerry pics I uploaded. My colleague Bryan Hoch posted some great pics as well, and there are much higher-quality images in our MLB.com photo galleries. Check out Keith Olbermann’s take. of “DEREK JETER! DEREK JETER!” after he was substituted for and given a curtain call in the ninth. We are highlighting many MLBlogs that are talking about the Final Act, and be sure to leave your URL with your own thoughts. 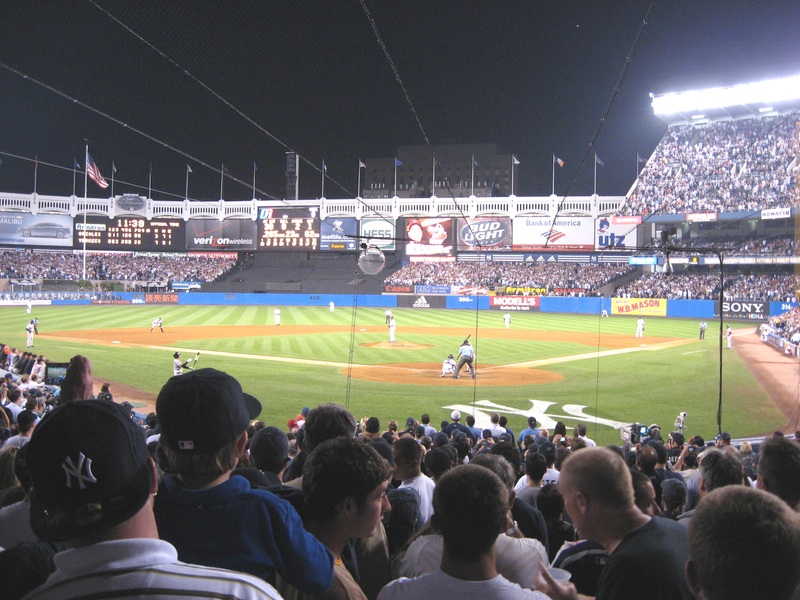 Also check out the Yankee Stadium Memories blog and feel free to leave your own comment there if you haven’t already. OK. I’m outta here. We all are. Sunday is the last baseball game at Yankee Stadium. Ever. I can’t believe I just typed those words. On that day, I will be there and filing our scene story for MLB.com and Yankees.com. Any other MLBloggers who will be there, feel free to help be my eyes and ears that day and post comments here. 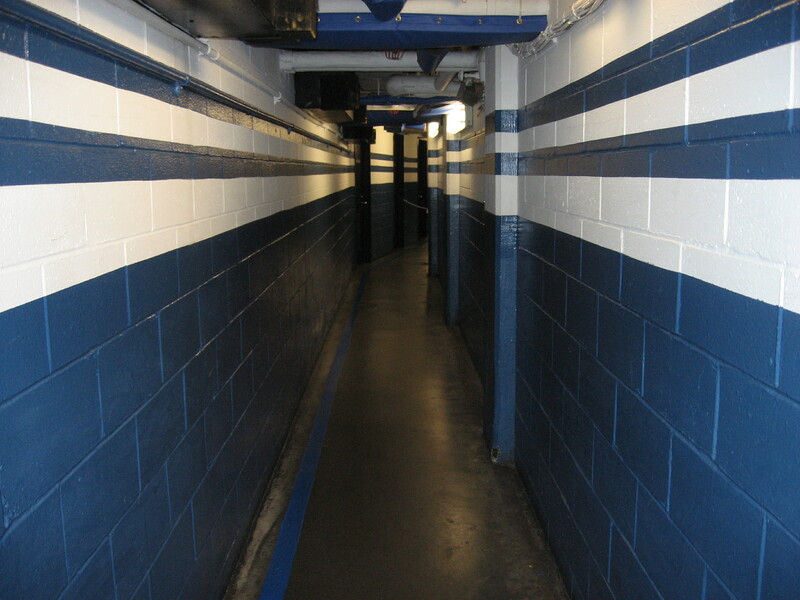 We also will be looking for Yankee Stadium goodbye posts and will highlight them at MLBlogs, so leave URLs here. And if you haven’t already done so, you are invited to add your comment on the special Yankee Stadium Memories MLBlog (first comment there is mine) that we launched during All-Star FanFest, promoted at Yankees.com. I have been to a lot of farewell parties, I have been to Ripken’s 2,131st and Big Mac’s 62nd and Joe Carter’s walk-off and Dr. J’s Last House Call and Kareem’s last All-Star Game and 10/28/04 and the most magical Michael moments including Slam Dunk ’88 and golfed with the Golden Bear and served in Arnie’s Army and interviewed Ali and run the NYC Marathon and looked up last month at Li Ning running sideways above me around the top of the Bird’s Nest to light an Olympic cauldron. It has been a life with a countless array of so many fabled moments in sports history, but I think I am about to experience something unlike anything I have ever felt in my lifetime, and I’m not even a native New Yorker. I get chills thinking about it right now. I can’t wait to read the blogs of others who are there that day or following it over MLB.TV or another means. 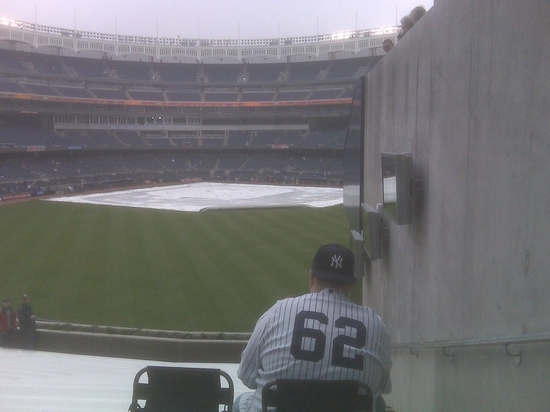 I think the last game at Yankee Stadium is going to have a place in that history for generations of people everywhere. It doesn’t matter if you love or hate the Yankees. This is it, American History. Man, I love Fenway and I could sing “Sweet Caroline” with fans there every night. I’m mostly a Cardinals fan at heart and I love and adore Redbird fans who even once cheered their own (Larry Walker) for striking out, and I love the view high atop Dodger Stadium and those mountains you see at Coors and the View Level View in San Fran and that open space on the mezzanine of Comerica and the big sign at The Jake and Wrigley’s ivy and something in particular about every ballpark I’ve ever seen, Majors or Minors or my sons’ youth fields where rites of passage took place. But there is no more famous baseball franchise, no place that can simply be called “The Stadium.” When you walk through the blue-painted passageways in the catacombs inside, when you slap the DiMaggio quote sign entering the dugout from the clubhouse tunnel, when you step on the grass…it transports you to days when the cleats of Mick and Whitey and Babe and Lou trod this ground. We’re all baseball fans and I think this Sunday is for all of us, a climax before the annual MLB denouement. Even Red Sox fans — so much of your history is here (ie 2004 ALCS Game 7), for one last series. It will be Reserved Tear Seating. I just wanted to post this video in honor of our fellow blogger over at The Profound and the Blurry — since some of the lyrics were posted there. I wonder how other MLBloggers would put their feelings to music as Last Game Day comes. You can put this widget above on any of your social media pages, and in the process do some serious campaigning for your favorite player on the Monster 2008 All-Star Game Final Vote ballot. It is the newest twist in the seven years we have been letting fans have the final say on All-Star rosters here at MLB.com, and it could have a major bearing on the outcome. After all, you know all about the power of social media. It reshapes things and changes the game. A Major Leaguer doesn’t need to play in one of the largest markets to win one of those 32nd and final roster spots for the 79th All-Star Game on July 15 at Yankee Stadium. One will be chosen from the American League and one from the National League, with five players per league on your ballot. Spread the word with your widget and let’s see what happens. Start out right here. Voting ends at 5 p.m. ET on Thursday, so you’re fine just copying the embed code from the widget and placing it directly into each blog post this week — just like this one. No need to put it anywhere else, although you can put it into the descriptive text on your General Settings page in your Movable Type software if you want it at the top. If you don’t have an MLBlog yet, then remember that we made them free to the public on Opening Day, and you can start one of your own in no time. Once you have the text field in front of you for posting, just click that <A> icon on the far right of the toolbar above the text field, and then paste the embed code wherever you want. Now you are the distributor. Just look at White Sox Insider as an example. Scott Reifert, Vice President of Communications for the club that had the AL’s winning Final Vote candidate in 2005 (Scott Podsednik) and 2006 (A.J. Pierzynski), maintains that longtime MLBlog and has the Final Vote Widget on his announcement post about Dye. Right away it means a bunch of White Sox fans are going to grab the widget and do the same, and others will do the same, and others will do the same, and so on endlessly. You probably have a Facebook page. If that’s the case, then just click the Facebook logo on the Final Vote Widget. Once you are on your Facebook profile, make sure to position it immediately beneath your “Information” section (it can’t go any higher than that), and above “The Wall.” This app is made to be a Facebook happening this week. On MySpace, you can either have it added by going through the logo and entering your email/password for that account, or just take the embed code and paste it into your Edit Profile page (which is how I’m going to do it). Place it right into the “About Me” section there so it’s right in your Friends’ faces the next time they go to comment on your page. On Google’s Blogger, click the “B” logo and it easily lets you position it wherever you want on that blogspot.com blog. There is going to be a lot of that around Major League Baseball’s increasingly high-tech fan base this week. Choose any that appear on the widget or any of the myriad other social nets that are strewn across the Internet. AL nominees are outfielder Jermaine Dye of the White Sox, first baseman Jason Giambi of the Yankees, outfielder Jose Guillen of the Royals, Longoria of the Rays and second baseman Brian Roberts of the Orioles. NL nominees are outfielder Pat Burrell of the Phillies, outfielder Corey Hart of the Brewers, outfielder Carlos Lee of the Astros, outfielder Aaron Rowand of the Giants and third baseman David Wright of the Mets. In every case, the Final Vote Widget lets someone else click immediately to the ballot and vote for the candidates, so you might also want to tell them how to vote when you let others grab that widget. Vote as often as you wish. Many if not most fans now have multiple presences around social media, some fans with literally dozens of profiles and blogs. No matter where you are, there are baseball fans out there. It figures to be another record-shattering week for online balloting at MLB.com, and this technology that has become familiar to so many social-network users could be a big difference-maker in the 2008 outcome.